When director Trevor Nunn was called to the stage at the end of Richard III, nine hours into the marathon that is The Wars of the Roses, he said simply: ‘I give you five words – John Barton and Peter Hall.’ And that is where we have to begin in any review of this extraordinary revival – with the intentions and achievement of the two creators of this conflation of Shakespeare’s account of the internecine warfare that preceded the Tudor dynasty’s accession to power. How does this landmark of 1963 look in 2015, and does it speak to us now as powerfully as it did to the theatre audiences in the 60s and to those who saw the TV adaptation that followed? It is no overstatement to say that it was this text and production that first put the new RSC on the map. It embodied an approach to Shakespeare that combined a respect for tradition and authenticity (where it could plausibly be uncovered), with a determination to make Shakespeare as accessible as possible to as large an audience as possible. There was also a supreme confidence that even the plays that seemed most historically and thematically remote and alien could be revealed to speak to eternal human predicaments. 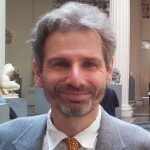 Both Hall and Barton were influenced by the thesis of Jan Kott’s book Shakespeare Our Contemporary, and thought there could be real synergy between historically informed techniques of verse-speaking on the one hand and the theatrical methods of Brecht and Beckett on the other. As a result the reputations of those who had flourished in more traditional theatre – such as Peggy Ashcroft and Donald Sinden – were enhanced, and new stars – such as David Warner and Ian Holm – were made. The RSC became well known for epic-scale ensemble productions, several of which have rivalled this one, but never eclipsed it. 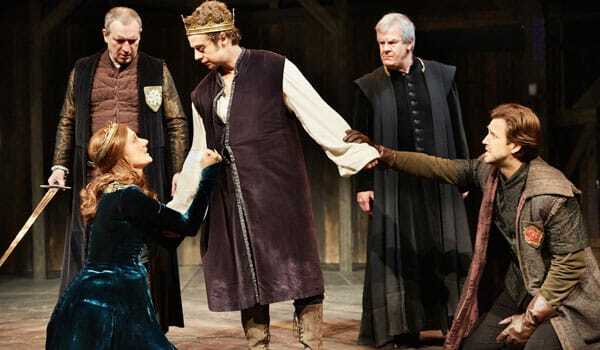 Perhaps most importantly, the success of The Wars of the Roses in making accessible plays that had previously gathered dust established a way of ‘playing Shakespeare’ that became an orthodoxy for a generation or more, encapsulated in Barton’s influential book and TV programme of that name. Careful research into the rhetorical properties and historical grounding of the verse, but placed within a stripped down modernist visual aesthetic, became the norm. Only gradually was this eroded by a technical focus on vocal ‘naturalism’ and a more experimental and eclectic approach to design that is now the current orthodoxy. So one of the greatest benefits of this revival is in providing an opportunity to remind ourselves of the strengths and weaknesses of an influential theatrical method as much as a seminal production. Does it still speak to us as a way of doing Shakespeare as much as an epic trilogy of narrative? Can we or should we get our minds around this way of presenting Shakespeare or has it all been superseded or absorbed by Game of Thrones? Henry VI stands out as the play in this triptych that most benefits from Barton’s editing and clarifications. Characters and scenes are cut away in profusion to reveal a focus on the nature of good and bad governance. We begin with the ‘jangling barons’ assembled over the coffin of Henry V in a semblance of unity and end with the Duke of Suffolk’s severed head on stage, the victim of mob rule on the streets of London. In between we have a lucid case study, in what we now think of as good ‘House of Cards’ fashion, of how it only takes one cankered rivalry to unravel a kingdom if the key sovereign individual is absent or incapable. The ensemble moves with compelling and gathering pace and takes in its collective stride the complexities of time and place involved in action that switches rapidly back and forth from France to England. The quality of the verse-speaking is never less than clear with a pointing and phrasing to each speech that is an object lesson in how to bring to life even the driest political material. There are no joins visible between Shakespearean original and Bartonian pastiche, and no battles or deathbeds or debates overstayed their welcome. In a large company such as this, with most actors doubling up in roles major and minor, it is impossible to identify and comment on all the notable performances, but none disappoint and several stand out. Among all the contending barons Duke Humphrey, the Lord Protector, (Andrew Woodall) offers an exemplary case study of the good politician brought down like a boar or bear by an accumulation of wrongs and pin-pricks from lesser men. A turning point, deftly shown in Woodall‘s acting, is when Henry admits he cannot do ‘self-will’ and Woodall turns to the audience with an expression of shock (as if in one of Kevin Spacey’s confiding asides) that signals in one instant that he knows all his efforts to sustain Henry V’s empire in France and at home will come to nothing, and yet he must soldier on to his own doom. Alex Waldmanns’ portrayal of Henry VI is a delightful piece of acting, quite the equal of David Warner’s famous original. He has to move from a shy, wide-eyed child overawed by his surroundings to a geeky, awkward self-absorbed teenager that culminates in the holy severity and vapid wishful thinking of adulthood. He does so with a charm and artless grace that is winning and also dismaying. We see him cross-legged and barefoot on the throne, playing with his sceptre and with the roses that are the symbols of division, and vainly trying to reconcile the embittered nobles like an idealistic social worker, hopelessly out of his depth. It should be said that there is a lot of dramatic licence here. We now know that the real Henry VI suffered from a form of catatonic mental illness rather than a holy disdain and distaste for self-assertion. But Shakespeare’s solution is dramatically much more engaging because it forces us to reflect both on how good men can be and often are hopeless rulers, and on the problem of what do in a personal system of rule when the king cannot perform his allotted role. It is very important for any successful performance – as it was to Shakespeare’s intentions – that amid a male-dominated world there should also be some lively, feisty female roles embedded in the action at every point, quite equal in passion and political weight to the men. We are in very safe hands here. 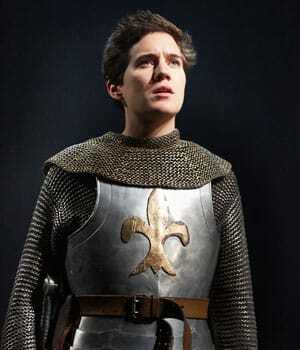 There is a bravura display to begin with from Imogen Daines as Joan La Pucelle, visionary, defiant, exultant, and finally vulnerable and dignified in defeat. Joan then passes the baton to Queen Margaret and she to Queen Elizabeth and the Lady Ann as the three plays proceed. 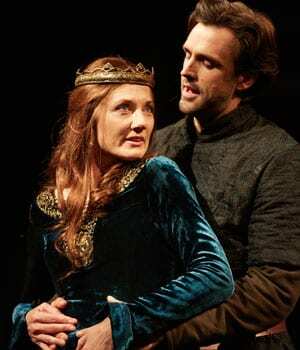 As Queen Margaret, Joely Richardson is the only character present in all three parts of the epic. The actress who plays this role has to traverse not just a vast range of emotions but also has to age from virginal, if knowing, bride through to harpy and harridan. The part is usually played by a woman in middle age, and therefore the early, ‘youngest’ scenes can tricky to negotiate. Richardson handled these well and her shenanigans with Michael Xavier’s Suffolk showed a guile and sexual magnetism that gave hints of what is to come, but not too much, and let him be her mentor in beguiling malignity. At risk of adding a long litany of battle honours and titles in the manner of some of the characters, I should also mention a couple of notable deathbed scenes (only one by Shakespeare!) with Mortimer (Geoff Leesley) and Cardinal Beaufort (Oliver Cotton) cursing their way out of life in a splendid period wheelchair modelled on one used by King Philip II of Spain; and also James Simmons’ portrayal of Lord Talbot, the military leader who best continues the heroics of Henry V, and who is the first victim of the internecine feuding among the barons that undermines the English hold on France. Lest it be thought that the majority of the credit belongs to the editors and interpreters of the dramatist let me end this initial review by emphasising how many instances there are nevertheless of Shakespeare’s unique genius already at work – most notably in the turn and tenor of some of the poetry, but also in the dramaturgical skill with which he blends high politics with the experiences of ordinary people to yield something unique. Towards the end of the play there are a couple of brief scenes that anticipate and sum up the fall of Lord Protector Humphrey in a beautifully economical fashion. Firstly there is a comic scene with a sorceress who has been hired to expose the royal pretensions of Gloucester’s wife (a brittle Alexandra Gilbreath). This is both a humorous interlude and an elegant parable on how the powerful are as often brought down by the vanities of those close to them as by their own mistakes. And then even better done, there is a scene in which Duke Humphrey exposes a crippled beggar seeking alms and cure from Henry as a fraud. Trivial in itself, it serves all the same to tip Henry against his uncle because his own vanity has been pricked through exposure of his gullibility. Even the saintly rulers can be swayed by threats to their own self-esteem; and Shakespeare tells us so deftly that on such small things the great business of the realm can turn. And so with France lost, the barons at odds, and the principal prop to order at home removed, the scene is set up for the real civil war to come between the adherents of the white and red roses – the centrepiece of the trilogy – Edward IV.